Looking at this low resolution image, it seems as if the painting's centre is dominated by a large male member that is also a face. 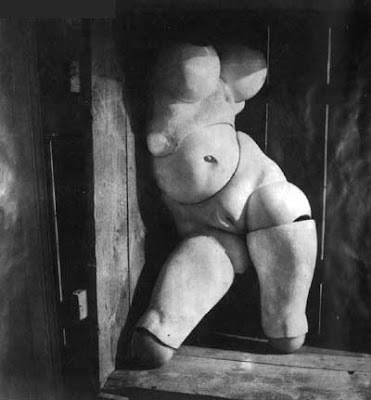 Below it are legs from a Hans Bellmer style sculpture. To the above left is a large thumb. 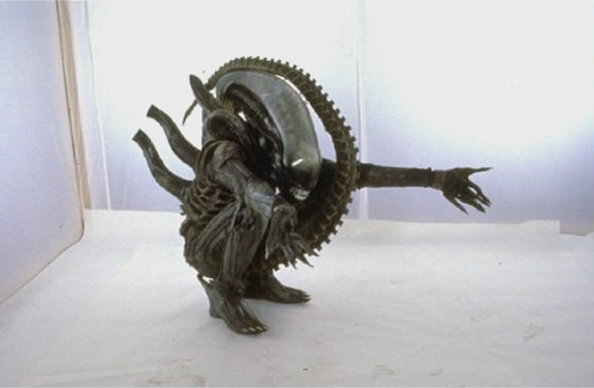 To the right is a crouching humanoid possibly with a gun to its mouth. Top right are small eyes, perhaps those of an octopus with tentacles spread across the top and down the right. 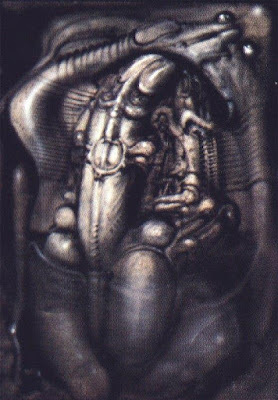 Thoughts about how the humanoid with a gun in its mouth resembles an arm and the central phallic shape becomes the head of perhaps Giger's alien crouching with its heads down, but the idea for that would only come because of the film Alien which was made a few years after the painting was created . The suggestion would be that the painting is of a seated figure being held in someone's hand. Perhaps someone had a statue based on the Lovecraft drawing and description of a statue to show Giger.